Overview: Pack up your diving gear and set out to explore two separate dive sites in St. Maarten. This guided two-tank dive takes you through balmy waters to a sunken shipwreck and spectacular coral reefs. Among swarming tropical fish, expect to find sea turtles, schools of barracuda, horse-eyed jacks, and an occasional inquisitive dolphin. 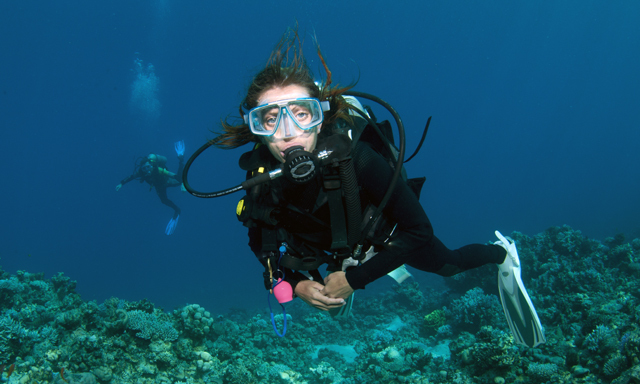 Take a surface break between dives. Valid “C” card required, with completion of at least one dive in the past two years.